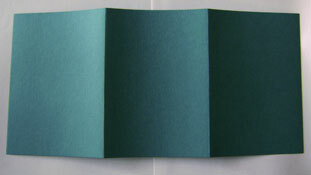 A Two-Fold Card is best suited for a Prick ‘n Stitch Design as it is designed to cover the workings on the back. These are available by Mail Order. The Design is pricked onto the centre panel, so the right panel will fold under and can be sealed off with double-sided tape. To make use of a Single-Fold Card, stitch the Design on a separate single sheet of card (trim the edges with fancy scissors if desired). The stitched card can then be attached to the front of the folded card with doubled sided tape or stick glue (don’t use runny glue as it may come through the holes and spoil the surface). and 5cm (2”) by 5cm (2”) for Gift Tags.